Coast to coast, country to country, continent to continent, the crowdfunding craze is spreading. As a result, many entrepreneurs, business owners and professionals are anxious to try and tap the power of the crowds. The problem is that despite the excitement surrounding crowdfunding, very few people understand the fundamentals that drive it. That’s why in this blog we are going to root out the complexity and shed light on the simple principle of social capital. While crowdfunding is considered a recent phenomenon in the world of business, the concept itself dates back to the dinosaur age. Although Kickstarter launched in 2009, signaling the unofficial birth of the modern crowdfunding era, it is a pretty safe bet that there were quite a few crowdfunding projects preceding it. While the exact historical date of the first crowdfunded venture is likely a little tricky to track down, you can imagine that it probably didn’t take the human race too long to figure out that if you wanted to complete a mission without the required funds, then you needed to raise capital (in whatever form that may have been) from the community. In fact, it’s logical to assume that in the beginning, humans probably would have thought it was a lot simpler to do this than invest in a company. With the riff raff and risk inherent in investments, many people probably preferred to simply donate a little money towards a given project and share the story with their neighbors and social circles. With a little bit of money coming from a bunch of people, an entrepreneur could then fund his/herself and connect with a community of supporters in the process. Despite the seeming simplicity of the process, none of it would be possible without a deep source of social capital. What is social capital? Social capital is a measure that describes how much value a person or organization brings to their specific community. While we normally look at the economic capital of an entity (ie. net worth or market cap), social capital looks at how important the subject is socially to the people and communities around them. If for example, you are an organization that delivers fresh food to a population of homeless people, then you would have a high level of social capital with both the homeless people and the surrounding community. Similarly, if you are an employee in a business where you have developed a large, trusting network through years of close collaboration, then you would also have a lot of social capital. While economic capital drives almost every decision in the traditional system, the crowdfunding ecosystem is the opposite – social capital is the substance that stimulates the system – heart and skill replace ego and intellect. Despite the two being different, they are not mutually exclusive, as any venture that is valuable to society has the built-in ability to generate economic gains, it’s just not the primary motive. Despite it being easy to define social capital, it is difficult to conceptualize and compute the actual tangible value of that social capital, especially for people and organizations who don’t have any inclination as to the depth of their social value. That’s why in crowdfunding, the prerequisite to a successful campaign is having a big enough community who understand the social value in you and your project. Some people may see this as Likes on Facebook, Followers on Twitter or Subscribers on a blog. But it goes much deeper than that, and despite these being interesting metrics to look at, they may be completely misleading. What it really comes down to is how many people believe in you and understand what you are doing enough to contribute money to the project? If you have a lot of social connections who know you well, that doesn’t necessarily mean they will back your project. At the same time, having a big idea with a lot of social value will only be worthwhile if enough people actually understand it. To pull off a crowdfunding campaign requires both – a community of people who believe in you and an idea with substantial social value. For many people in fact, crowdfunding may be the best way to actually test how much social capital you have. The key is to not to throw up a crowdfunding campaign as the first step. The best way to start is to open the conversation within your community, both online and offline. Having a substantial and supportive online network is an essential component of crowdfunding, as it gives you the opportunity to scale the campaign and share the story with a wider audience. But it is also important to open the conversation up offline with the people around you in order to build support in the traditional way. 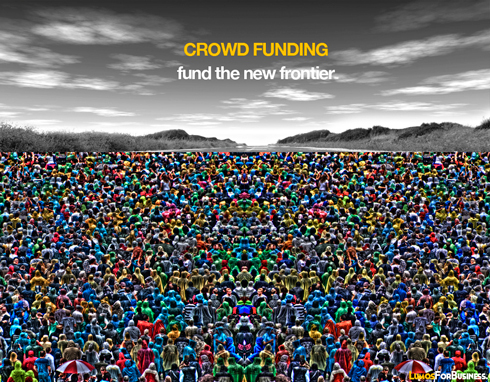 While the process of crowdfunding is nothing new, the global movement behind it is. The convergence of a global financial crisis, social networking and a technology boom are moving the crowdfunding conversation from the backroom to the boardroom. The playing field is being leveled as the financial system gets flipped on its head (see post Finance 2.0 – Wall Street Meets the Web), and crowdfunding is the catalyst. With a little social capital and a good crowdfunding strategy (see post Strategies for a Successful Crowdfunding Campaign), anybody can raise the funds they need to turn their value-driven ventures into reality. Overall, if you are taking a hard look at trying to raise capital via crowdfunding, do an analysis to see how much social value your venture or brand of business brings to the community around it. 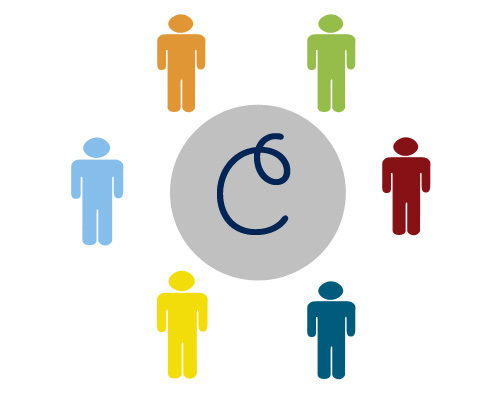 In the end, the principle of social capital will determine whether or not you will be able to successfully execute on a crowdfunding campaign. Just remember, this is not a business-as-usual tool to tap into your Linked-In network, it’s a tool for the real players to step up and bring the crowds what they really want, projects that matter.